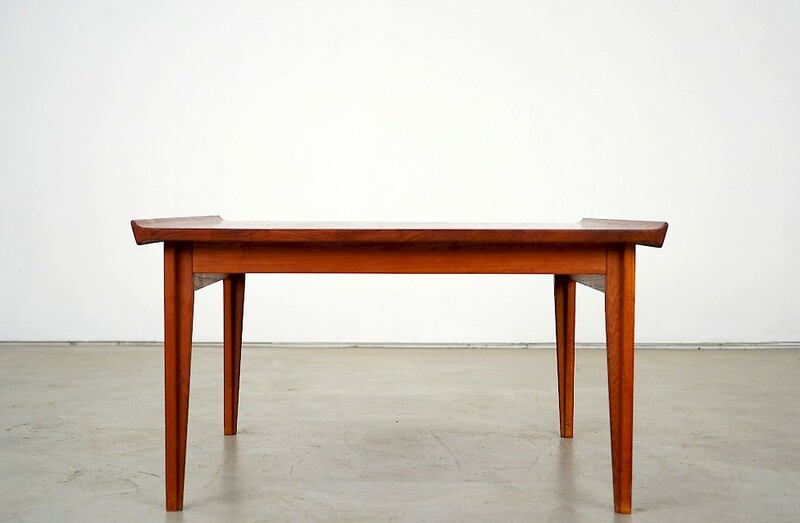 The coffee table by Finn Juhl dates back to 1957. Produced by France & Daverkosen, this piece is a real eye-catcher. It is made of solid teak wood with wonderful structure. The furniture is characterized by a badge as original. The table is in a very good condition, the surface has been refurbished.